For the ultimate family-friendly Las Vegas adventure, nothing beats a trip to the Grand Canyon. Your cheap Las Vegas Grand Canyon South Rim Tour tickets are the perfect way to experience the grandeur of the canyon. The three-hour guided journey takes you from your hotel on the Las Vegas Strip to the most popular areas of the Grand Canyon. 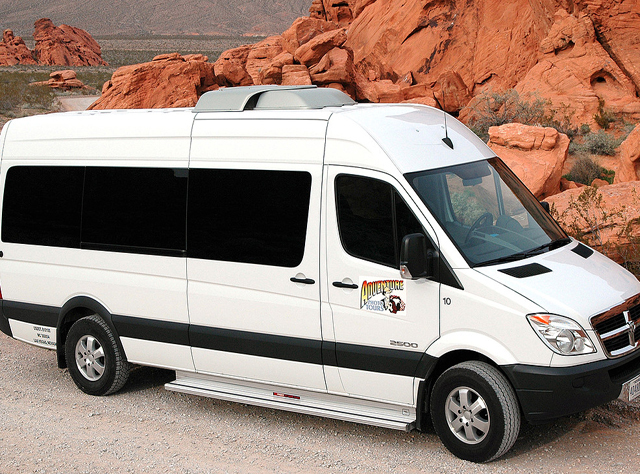 While traveling in luxury via a 4x4 SUV, VIP mini-coach, or custom 14-passenger VIP touring class mini-coach, you will enjoy the breathtaking views of the area as your professional guide provides entertaining and educational narration of the Grand Canyon and American Southwest. The tour, which includes a complimentary breakfast, provides plenty of photo stops along the way, including Hoover Dam, Route 66 Museum and Locomotive Park. Once you reach the South Rim you will have the opportunity stay with your tour guide or to explore the area on your own as you stroll along the Rim Trail. Providing the most stunning viewpoints in the canyon, the Rim Trail is considered “the most beautiful walk in the world.” The 2.5-mile paved walkway takes you to Mather Point, located at entrance of the South Rim, Yavapai Point, which provides the best panorama of the canyon because of its unobstructed views, and Bright Angel Point. Take time to browse through the gift shop at the Bright Angel Lodge and enjoy a light lunch before meeting up with your guide to conclude your tour. Get your cheap Las Vegas Grand Canyon South Rim Tour tickets today from VEGAS (the app) for a family-friendly adventure you won’t forget!